Hi friends. 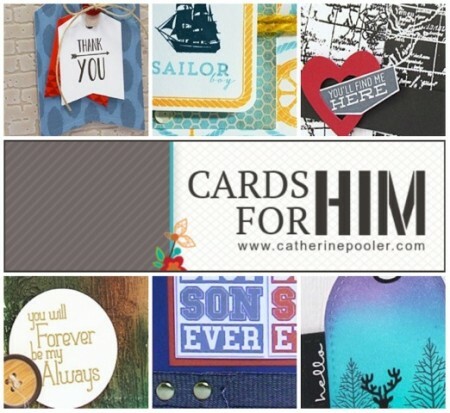 The newest online class “Cards For Him” is now open for registration! 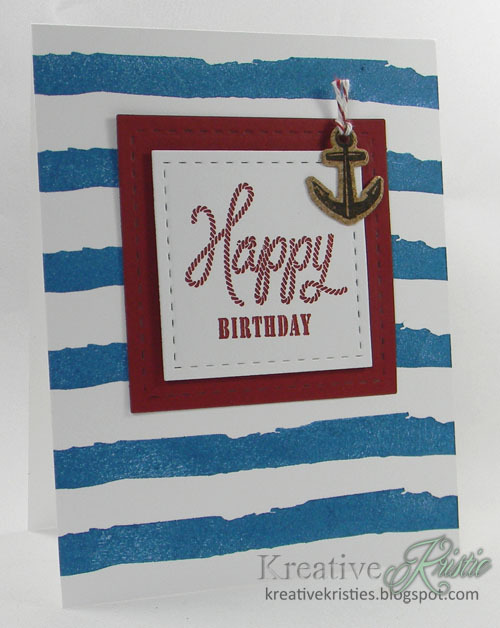 My card is inspired by the Nautical and Texture themes from the Class. I cut the anchor from cork and then stamped the image. I think cork is a fun element for masculine cards. This class is perfectly timed for Father’s Day which is right around the corner, but of course is great for masculine card ideas year-round. If you struggle with masculine cards, this is the class for you! 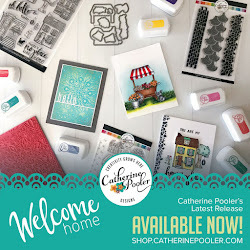 Catherine, Maureen, Chupa and guest designer, Sandy Allnock have joined forces with some of the companies and their designers that have products featured in the class for a Blog Hop to celebrate the newest release. 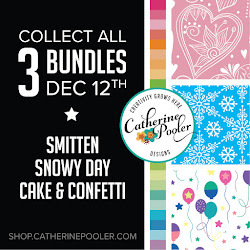 There are TEN FREE class registrations & a $15 gift certificate to Reverse Confetti hidden along the hop, so make sure you leave comments along the way. You have until 11:59 pm on May 2nd to leave a comment to be entered to win! 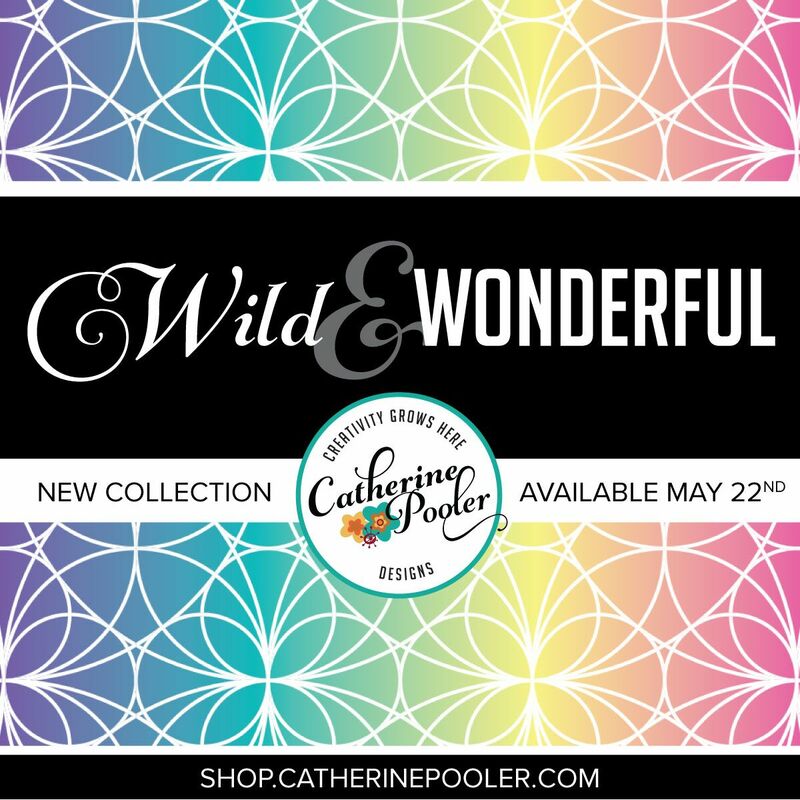 Winners will be announced May 3rd on Catherine's Blog. Click here to learn more and to Register by May 7 to get the discounted rate! Click here to join StampNation and get 50% off with a discount code! 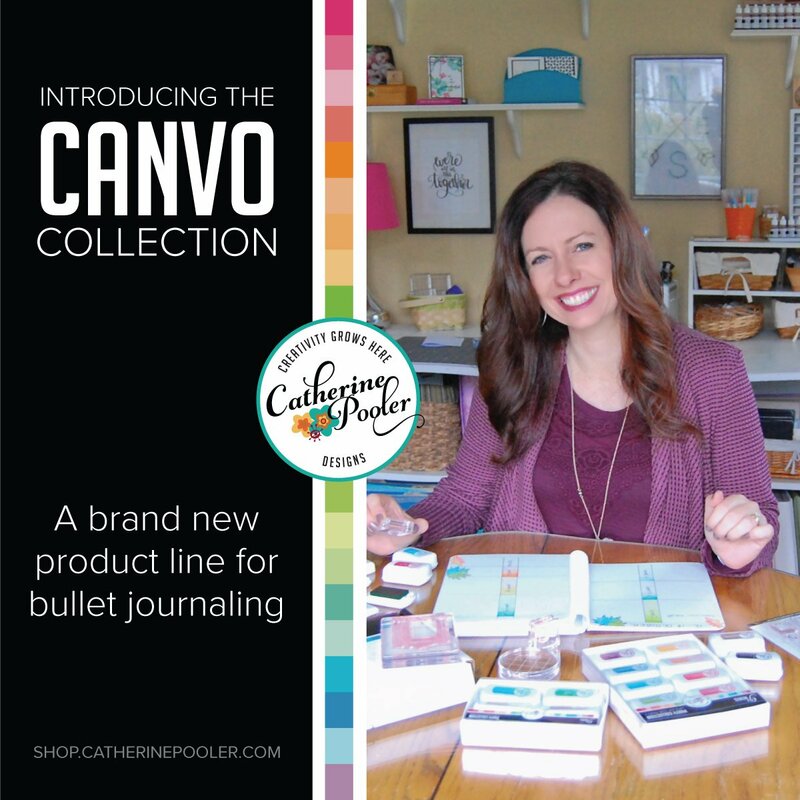 Ready for the blog hop list? Grab a cup of coffee and buckle up! You are in for a treat, we've got tons of inspiration in store for you! Each designer has made a card based on one theme from the Cards For Him class. Enjoy the hop! Sketch Challenge with Hero Arts! I just returned home yesterday from StampNation LIVE! I had a complete blast and now I am trying to get caught up a bit. Today's challenge for StampNation is being sponsored by Hero Arts! Here is a sneak peek of the cards the DT created. They will go up on StampNation later today. My card is the bottom middle one. I used the Palm Fancy die and the sentiment from Hello Sunshine. These new goodies are available today over at Hero Arts. 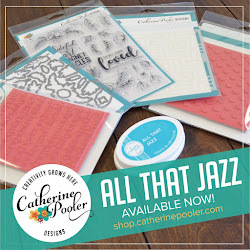 Click here to hop on over to Catherine's blog to see her video and post. If you haven't joined StampNation yet, I encourage you to do so today! I will be back later in the week to share more about the FUN I had at StampNation LIVE!!!! 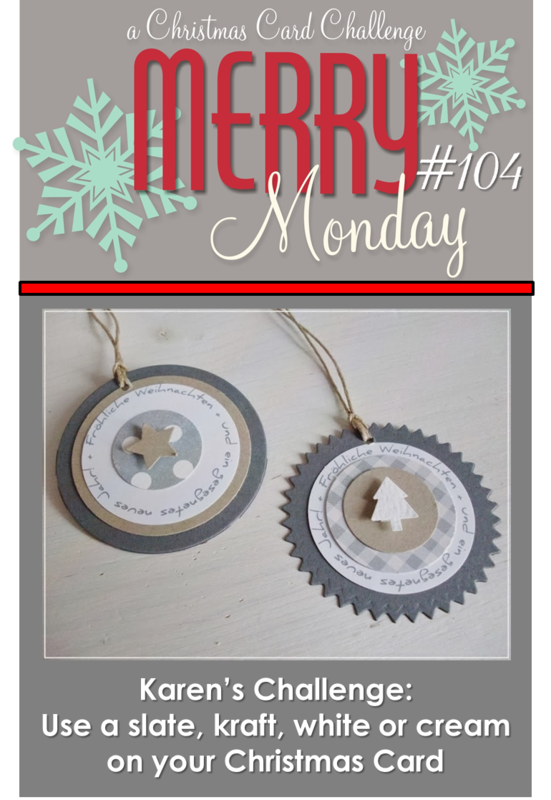 It is my turn to challenge our wonderful card makers at Merry Monday. I want you to use a gingerbread man/woman on your Christmas card. If you happen to visit our house at Christmas time you will see my love for Gingerbread men decorations. Not only on our tree but around the house. I just love them so thought it fitting to choose to have you use a gingerbread man or woman on your card. I used the adorable gingerbread man stamp and matching dies from SU! 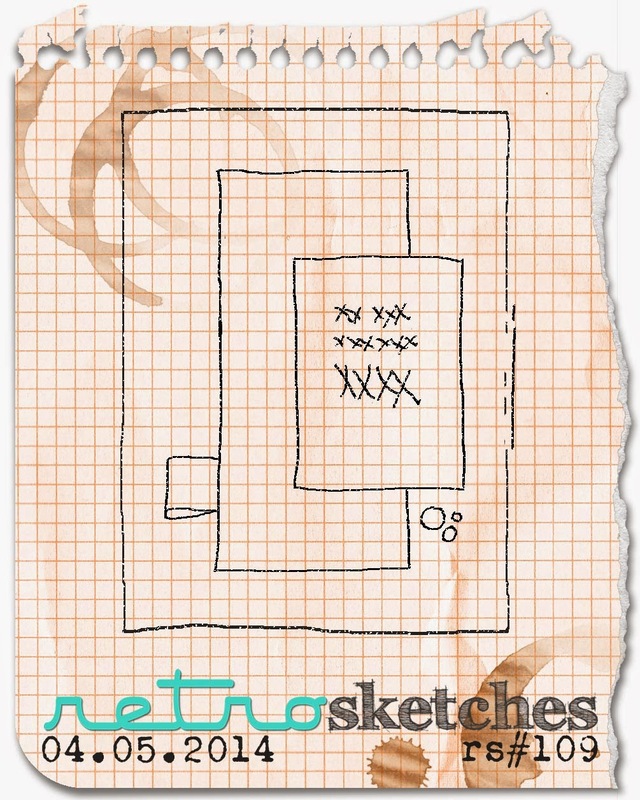 I followed sketch #68 at CAS(E) this sketch. 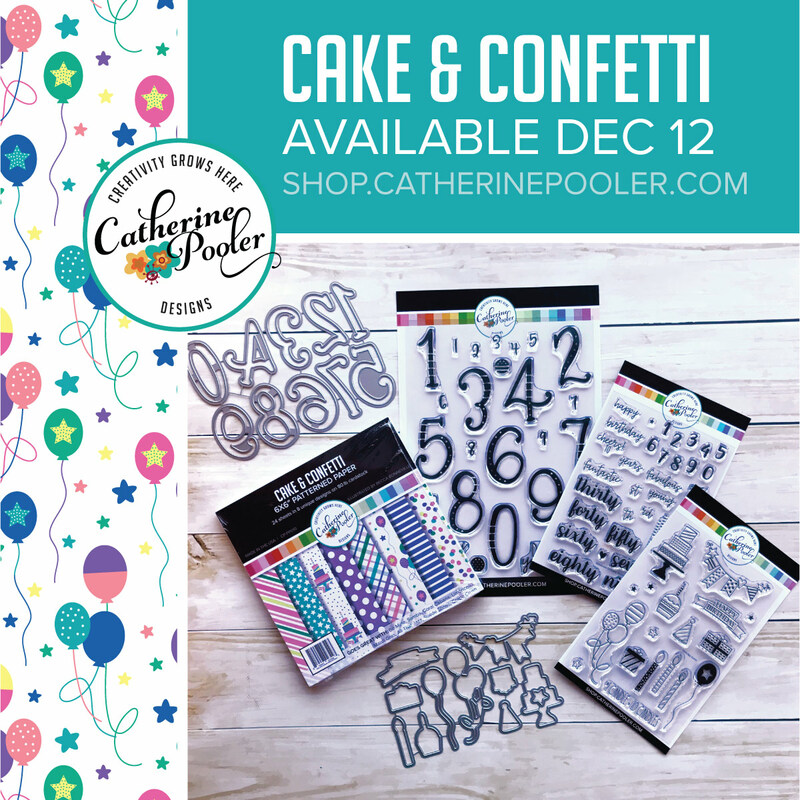 Card & New Online Class!!! Hi everyone! I have been busy getting ready to go to Raleigh for our annual StampNation LIVE retreat and I couldn't be more excited. I leave tomorrow! I am so excited to see old friends and meet new ones. A card for you today for CAS(E) this Sketch! paired with Runway Inspired challenge! How cool is that? The next online class is coming! 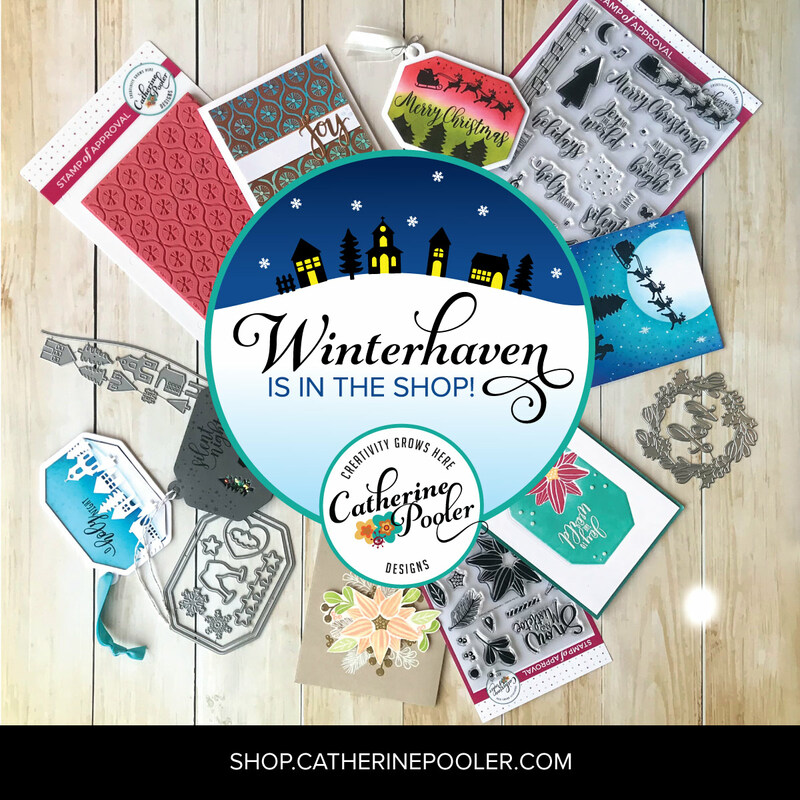 My good friends, Catherine Pooler, Maureen Merritt, Iwona Palamountain and special guest, Sandy Allnock have been working hard to bring you a fabulous and inspirational card making class. Catherine is hosting a quiz on her blog, giving you some sneak peeks and asking you to guess the topic! Two randomly drawn commenters will win the class for free and an early access to boot! The class will be released on Wednesday, April 30th at 9 am. 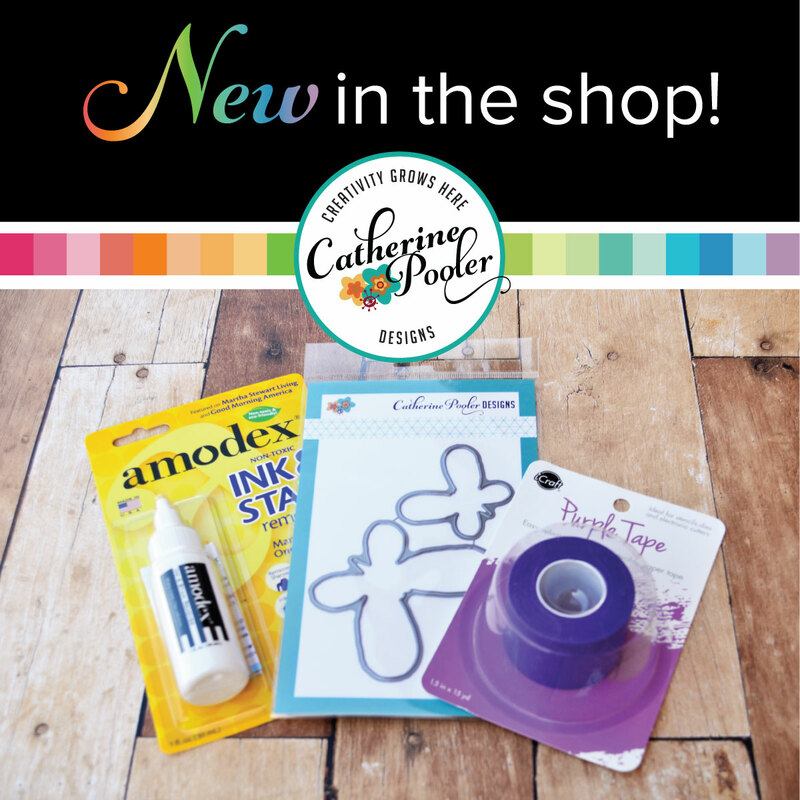 Click here to guess the theme of our next class and enter to win your class for free! 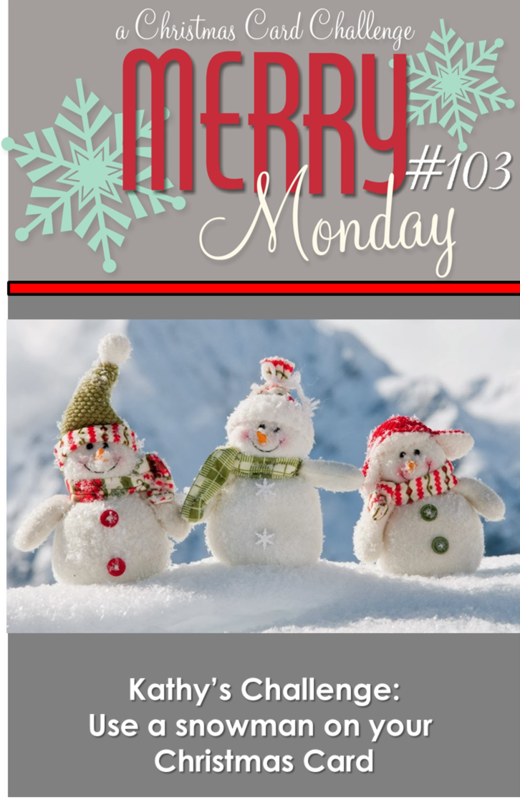 Time again for another Merry Monday challenge. Sue chose our challenge this week. She wants us to use a Christmas word of words and decorate each letter. 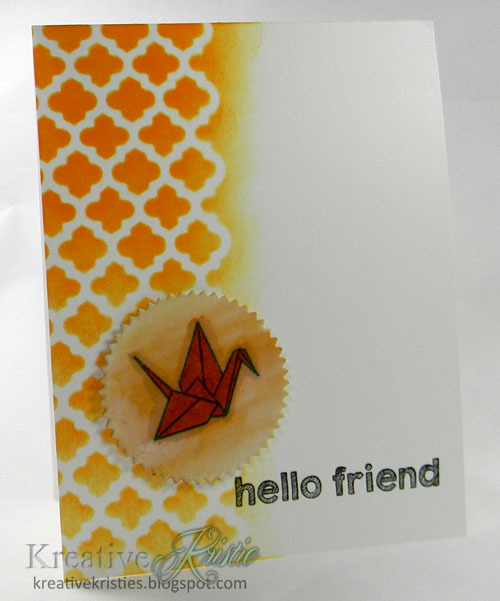 On my card I used Stampin Up! 's Broadsheet Alphabet to stamp my N, E, & L. The smallest Jingle bell die from Lil' Inker Designs was perfect for the "O". I am also using my favorite DSP from SU! I love these stripes and colors together. 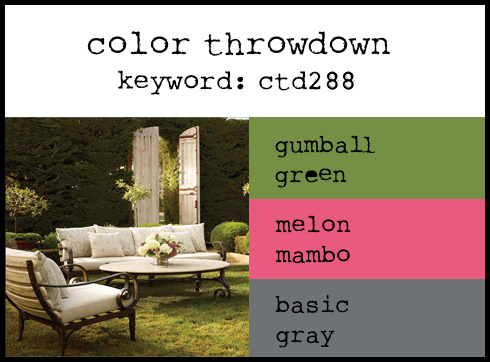 I am popping in real quick with a super CAS card for Color Throwdown. I am using two, new to me stamp sets, that I LOVE! The stamp sets are Circle Scribbles from PTI. I hesitated on purchasing this set but ordered it recently and am glad I did. The other stamp set is Label Love from a brand new company called Altenew. I am so thankful I snatched this one up when I did, it sold out fast. These are great colors together. Hi friends! Iwona Palamountain (Chupa) joined the StampNation Dream Team back in December and has been WOWing us all with her amazing talent. Chupa shares her videos in her exclusive forum "Technically Speaking". StampNation members will be treated to a new video every other Monday. Here is a sneak peek of her tutorial that went up yesterday. It is colorful, watercolored, and so on trend! You can see exactly how she created this by becoming a StampNation member today. Don't delay, $9 a month (cancel at anytime if you find it is not for you) gets you access to more than 400 exclusive video tutorials all in one place. Click here to learn more about StampNation benefits and to join now! Iwona Palamountain (Chupa) joined the StampNation Dream Team back in December – lucky us! Her style has me memorized every single time I see a new project from her. She definitely has a different style than myself and I just love it. After a short hiatus, we are now getting on a schedule with Chupa’s video tutorials in her exclusive forum “Technically Speaking”. Do I hear a WOOT!? StampNation Members will be treated to a new Technically Speaking video every other Monday – beginning tomorrow! 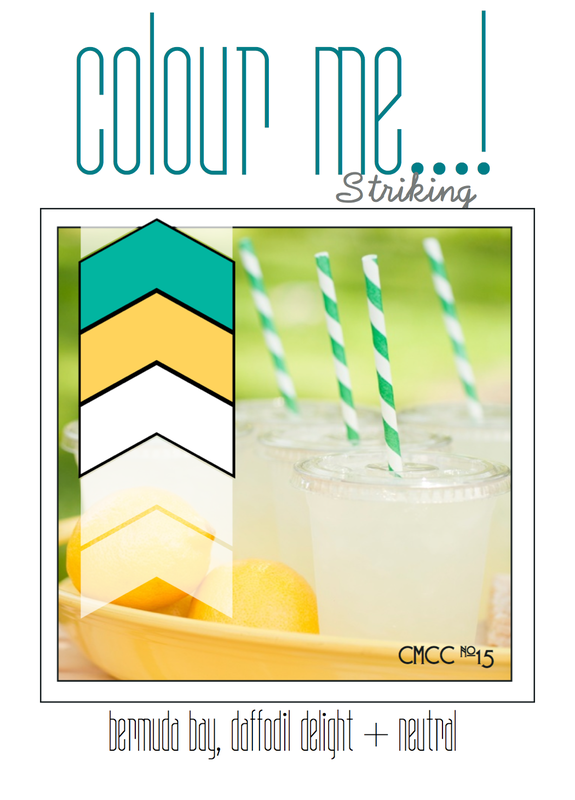 Here is a sneaky peek at her tutorial coming out tomorrow…it’s colorful, it’s watercolored and it’s oh, so on trend! Not a member yet? Don’t wait another day to join us…$9 a month (cancel at any time if you find it’s not for you) gets you access to more than 400 exclusive video tutorials all in one place. 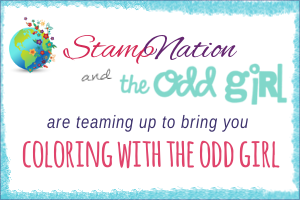 That’s not all…click here to learn all about the benefits of being a StampNation Member. Ready to join now? Become a member right now! Hi friends. Today's card was inspired by Therese Calvird's card over at the Muse challenge blog. I really wanted to copy her card exactly because it is so awesome. I decided to still use stencils and wood pieces on my card though. I experimented with my wood piece and heat embossed it with Tangerine Tango embossing powder. I wasn't sure if it would work but it did. Yay! 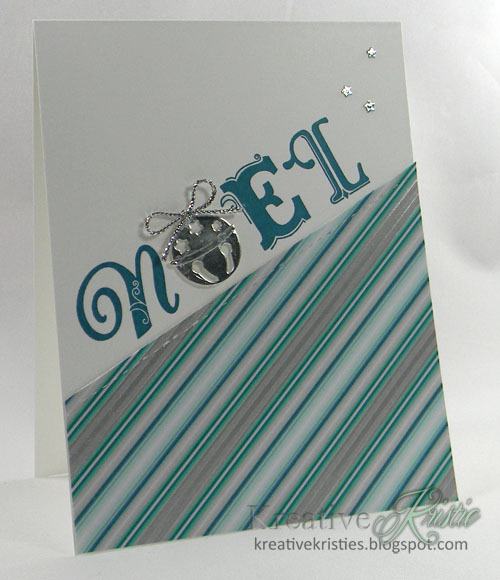 The stencil I used is called Stripe Columns by Simon Says Stamp. 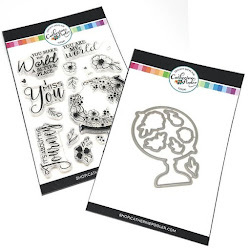 I am also going to pop this over at Virginia View's awesome challenge: Stencils. Happy Monday friends! 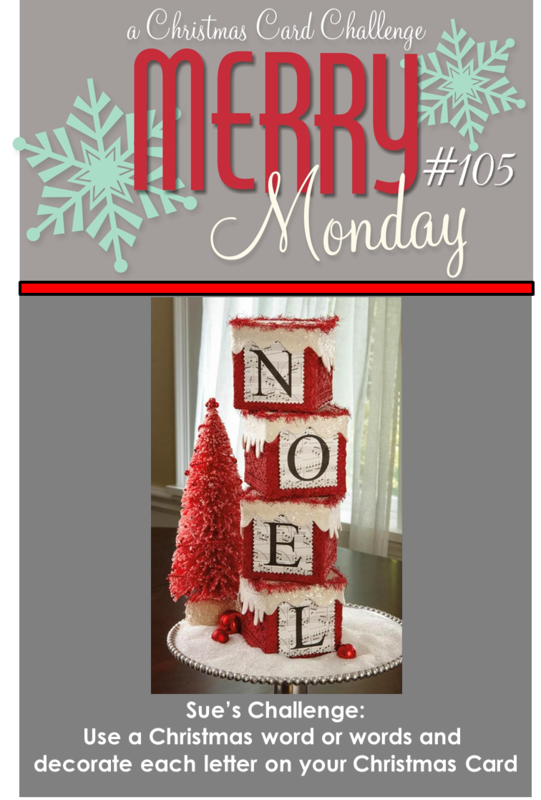 Our friend Karen has chosen the Merry Monday challenge for this week and she wants us to use the colors slate, kraft, white or cream on our Christams cards. These colors were definitely a challenge for me. I really wanted to add some red to the mix but that wasn't one of the colors. 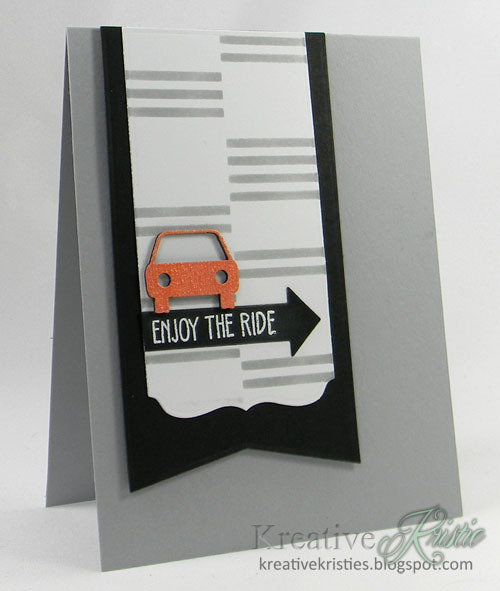 :) I stamped and embossed my sentiment using Smoky Slate embossing powder. 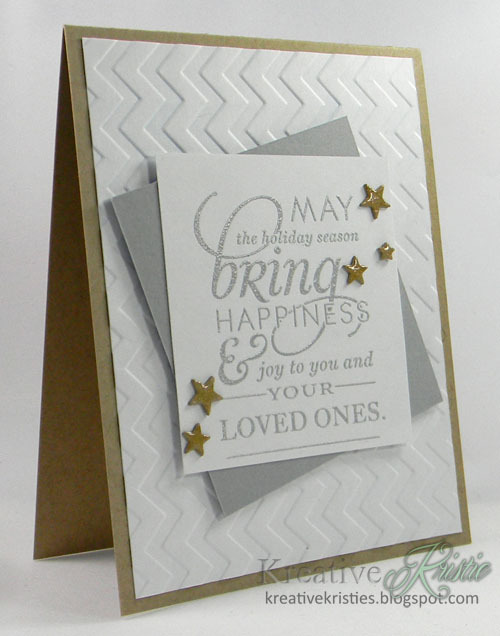 I also wanted to use wood veneer stars on my card but I don't have any. Need to remedy that soon. I decided to try to make my own using Kraft paper. I used the Holiday Shapes die from Simon Says to cut out my stars. I stacked 3 on top of each other to give them dimension. I also covered them with my Wink of Stella glitter brush and glossy accents. I am pretty happy with how they turned out and think they resemble wood veneer stars a bit. What do you think? Hi friends! I'm back today with a sneak peek of my card that you can see in detail over at StampNation. This weeks challenge is all about GOLF! Did you know there is a holiday every day of the year? Thursday, April 10th just so happens to be "Golfer's Day". In honor of Golfer's Day, make a card inspired by the sport. Get creative: think of the clothing...argyle, plaid, houndstooth OR a golf green OR flags OR sports, etc. 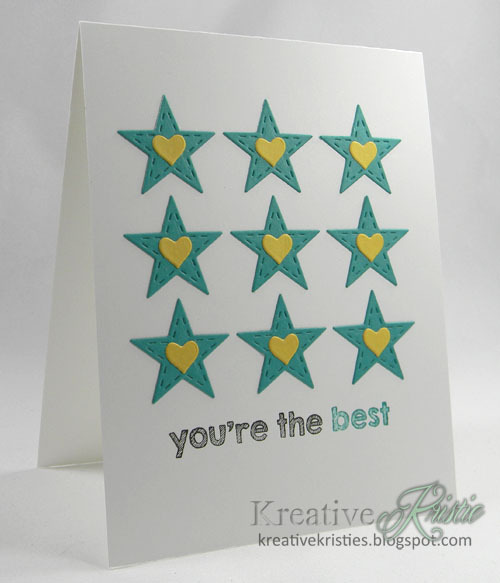 I also want to share that the Pick-a-Pattern class, exclusive to StampNation members, has been totally amazing. 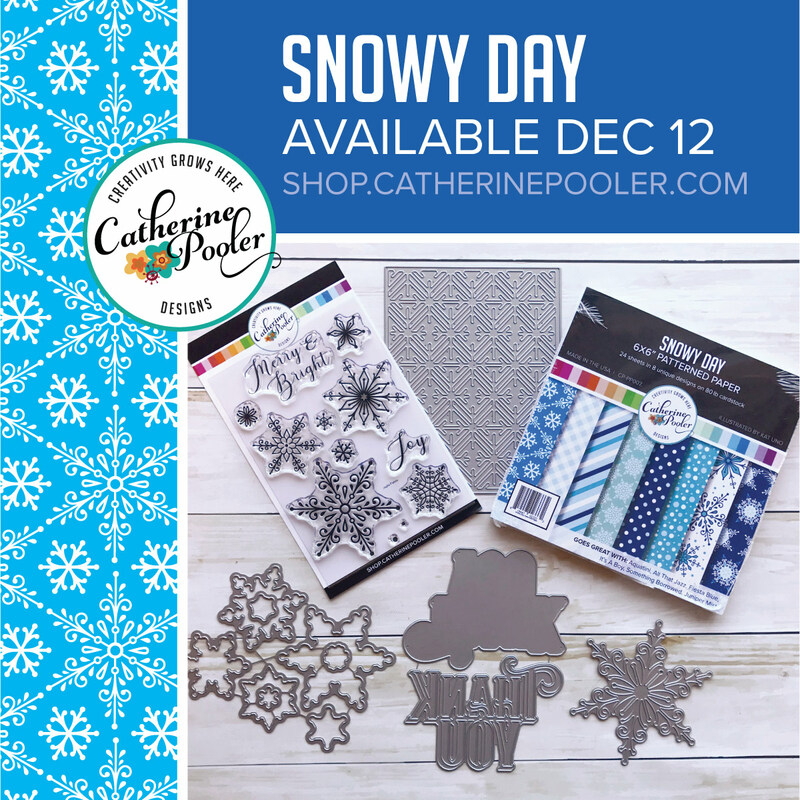 I have learned so many new and exciting ways to use my Patterned Papers. Popping in real quick to share my card for 3 challenges. 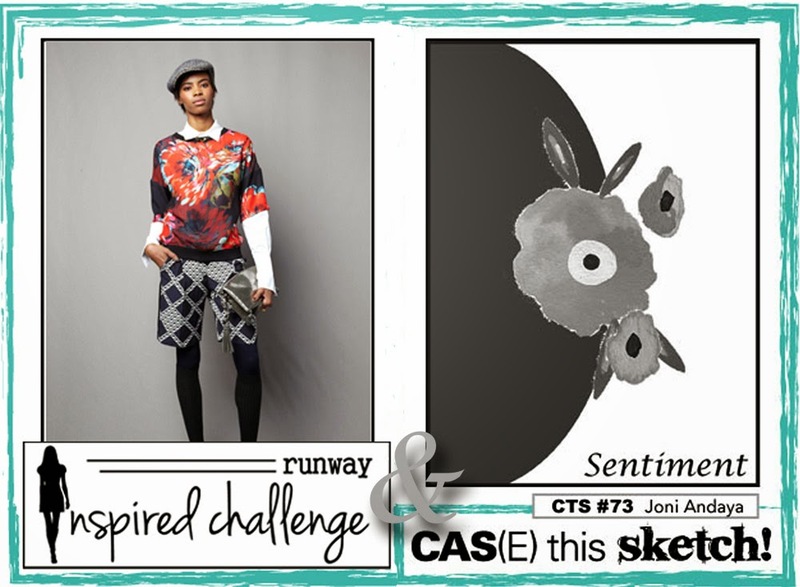 CASE Study, Colour Me!, & CAS(E) this Sketch! I will pop back in later with my supplies. Hi friends. Another Christmas card to add to my stash. This one follows the sketch at Viva La Verve. Hi friends. 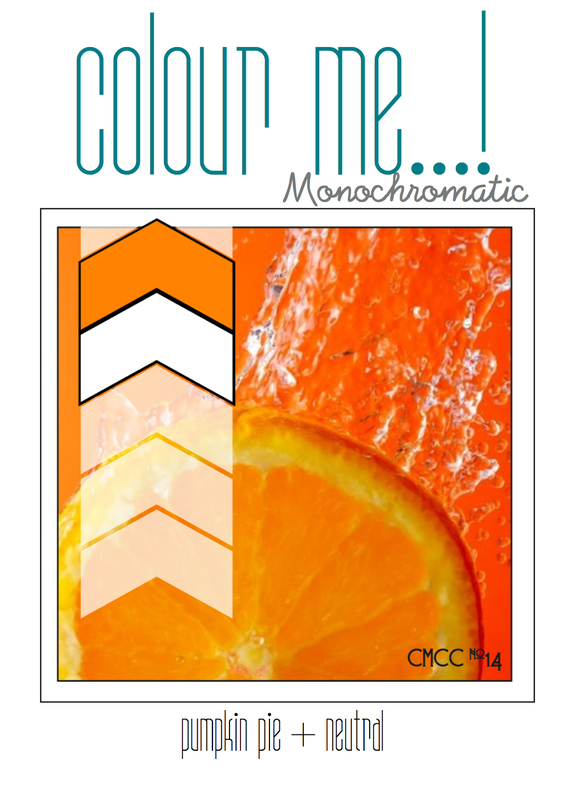 Today's card is based on the sketch at Retro sketches and Verve Stamps Challenge: Chevrons. I used up some of my "hoarded" DSP from SU! I am trying to widdle down my huge collection but it is taking forever to even dent my piles. haha The sentiment is from Papertrey Ink. Speaking of Patterned Papers, does this sound familiar? 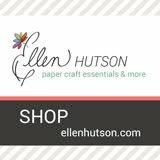 You have a ton of patterned paper and you can't bare to cut it apart, basically you are a paper hoarder! 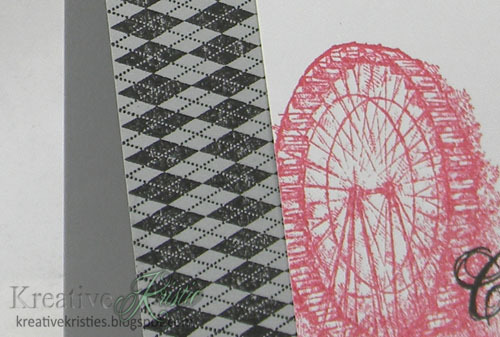 You want to use patterned paper on your cards but you don't know how. 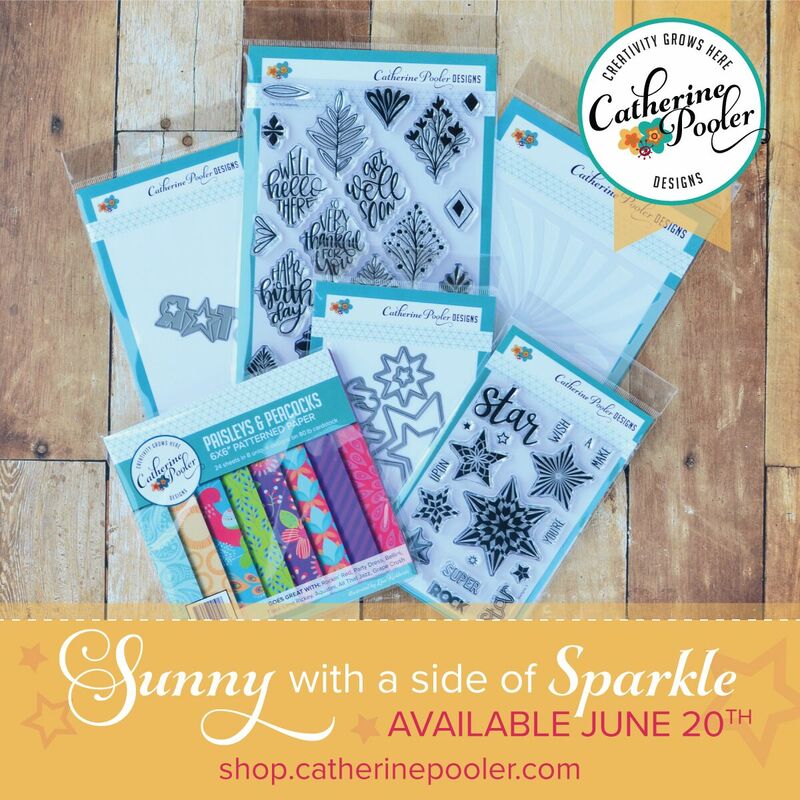 You want some fun ideas in your crafty toolbox on how to use patterned paper. 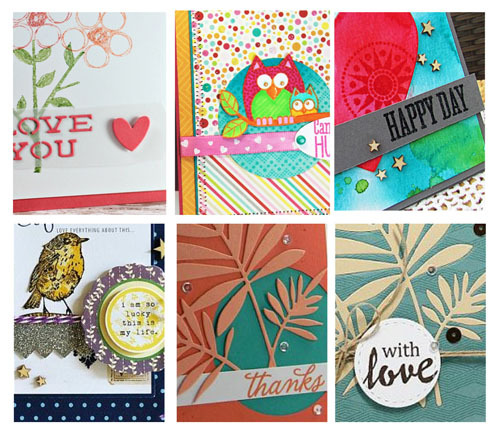 This week the Design Team is putting on a week-long mini class for StampNation members! 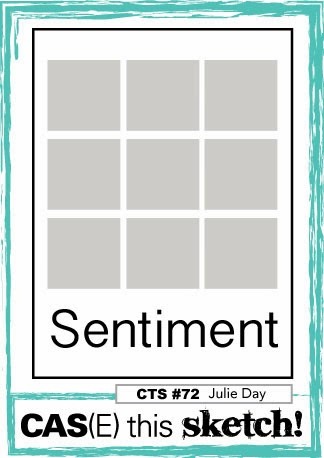 Each day a different DT member will post a new lesson, tutorial, idea on how to use patterned paper on cards. Our "Pick-a-Pattern" online class is exclusive to StampNation members. 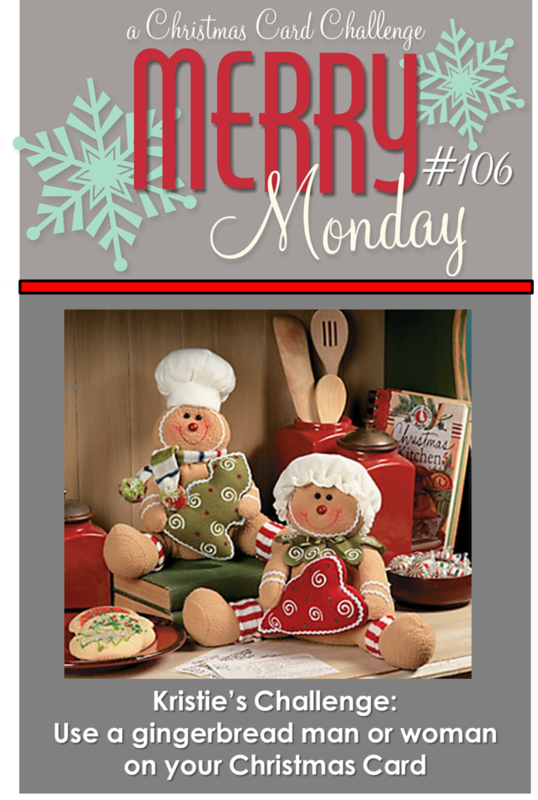 Our friend Kathy has chosen the Merry Monday challenge for this week. She wants us to use a snowman on our Christmas cards. 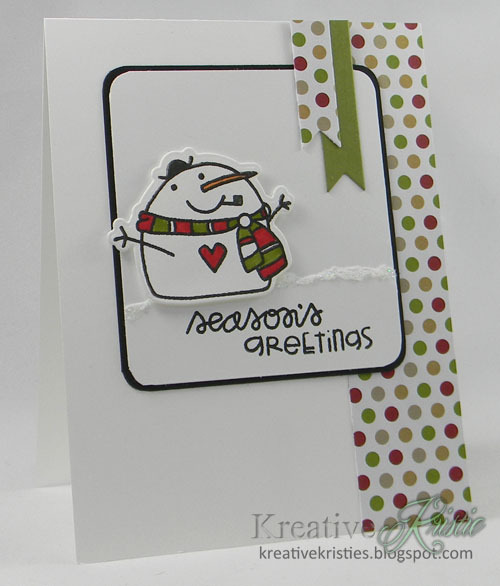 I love the snowmen from the Swanky Snowdudes set by Paper Smooches. 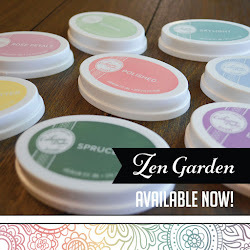 It is so fun stamping their mouths and the cute little pipe that comes with the set. 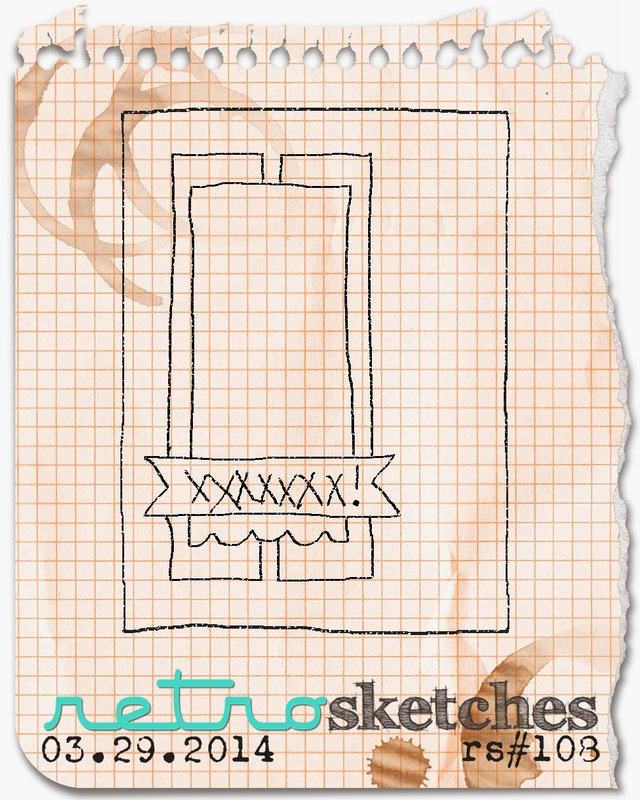 I followed sketch #16 from Seize the Sketch. Hi friends! Happy Friday. I hope you all had a great week. Today's card is for a few challenges. 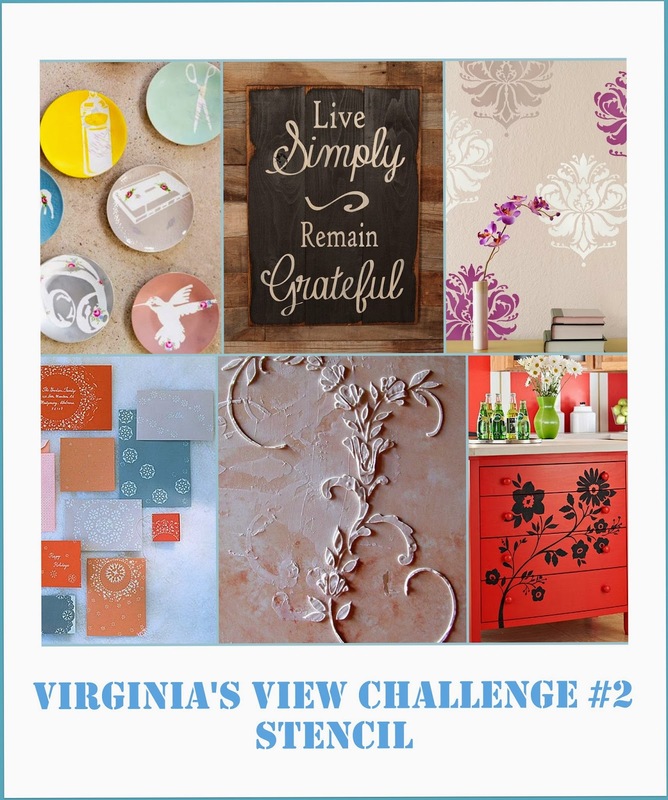 First is Virginia's View challenge: Stencils, Colour Me: Orange, & Moxie Fab World: Stencils. I used the moroccan stencil with Spiced Marmalade distress ink. Making it darker at the top for a ombre effect. I also used my new mini ink blending tools, LOVE these things. So much easier to use than the rectangle ones. Hi friends! This week's sponsor at StampNation is CAS-ual Fridays! Their stamps are so fun, fresh & trendy!!! 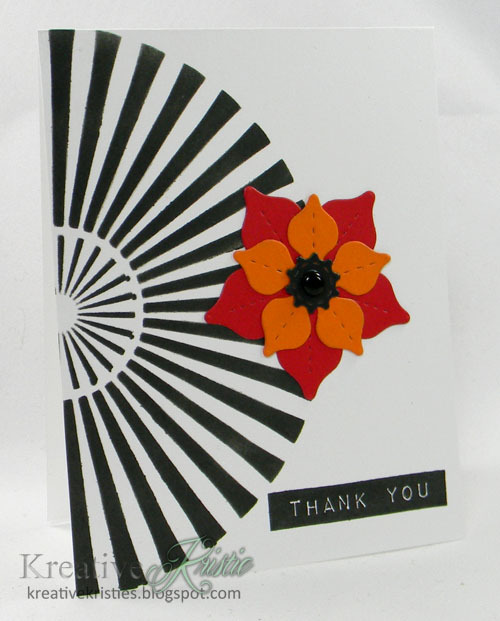 On my card above I used the Wallflower stamp set. For the background piece I took a white piece of cardstock, scribbled with my gelatos then wiped with a damp cloth. I love the look this creates. 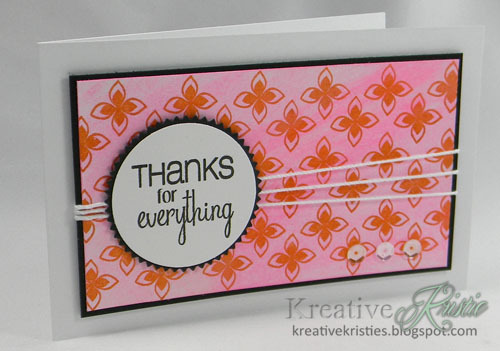 I then stamped the flower border stamp three times to create the background. I followed the sketch at Sweet Sunday Sketches #123. This week's challenge at StampNation is FUN!!! We are asking members to make a card that screams FUN in honor of CAS-ual Fridays stamps. Of course, there are prizes! 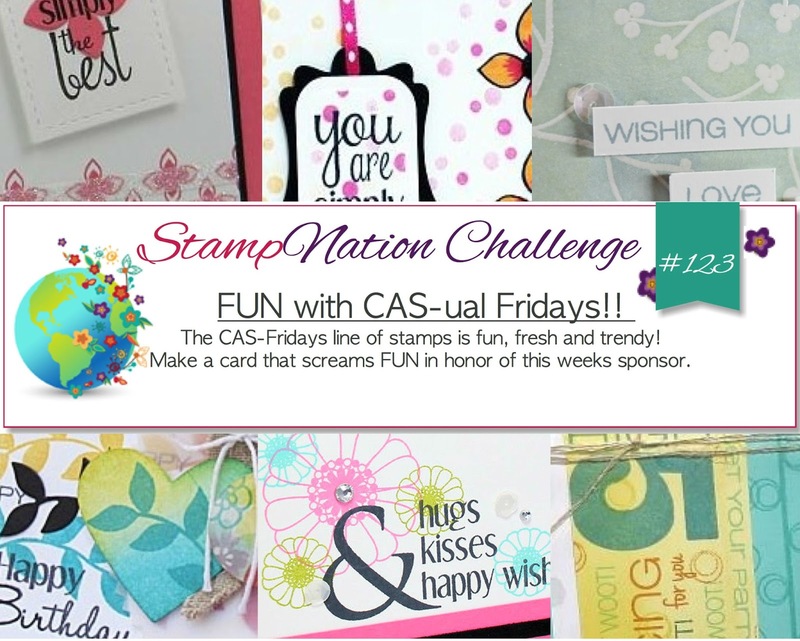 One lucky StampNation member who makes a card for the challenge will win a $25 Gift Certificate to CAS-ual Fridays! How awesome is that?!!! Members will have 2 weeks to enter. Here's a sneak peek of the Design Teams cards. Click here for more details and to join now! Thank you for visiting and see you in the forums! Today I have some exciting news to share with you all. 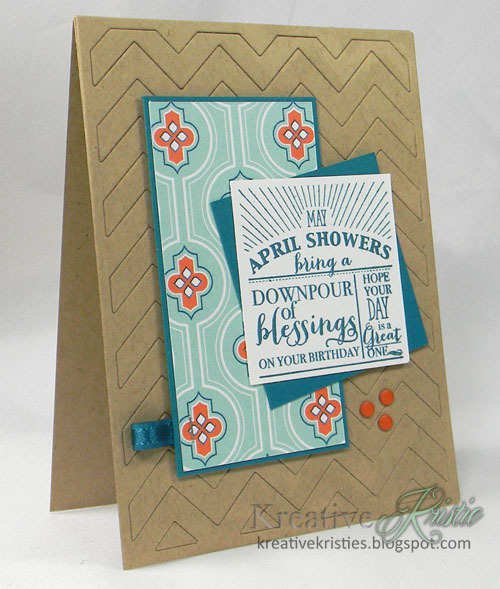 StampNation is welcoming TWO fabulous Guest Designers for the month of April. 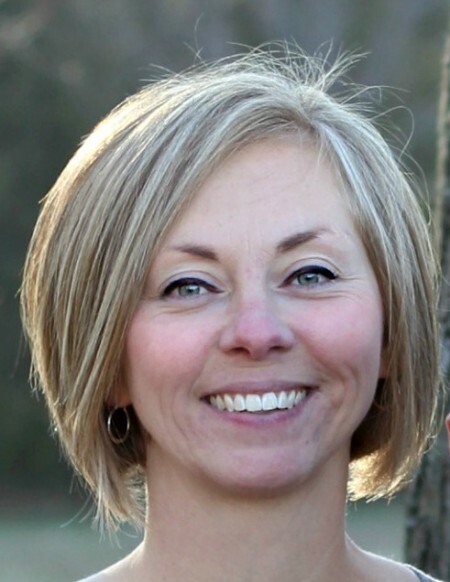 We are thrilled to welcome Allison Cope and Amy Kolling! Let's learn about these talented ladies. My name is Allison Cope and my little family of 3, my husband Todd and our 8 year old son Spencer, live in the prairie lands near Calgary, Alberta, Canada. I have been paper crafting for 9 years and stamping for about 8. I am lucky enough to be a stay at home Mom where my husband wholeheartedly supports my need to play with paper and ink everyday! I'm one lucky girl! You can pop in and say hello to Allison on her blog, Your Memories. 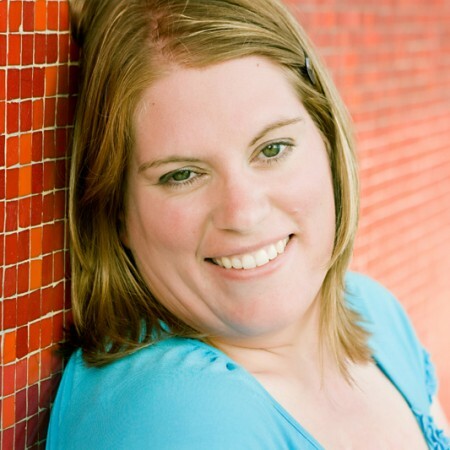 My name is Amy Kolling and I'm very excited to be guesting this month! When I'm not spending time with my family, I work full time as a nephrology nurse. As for my spare time (late late evenings), I love to stamp and try new techniques or just stamp for fun! 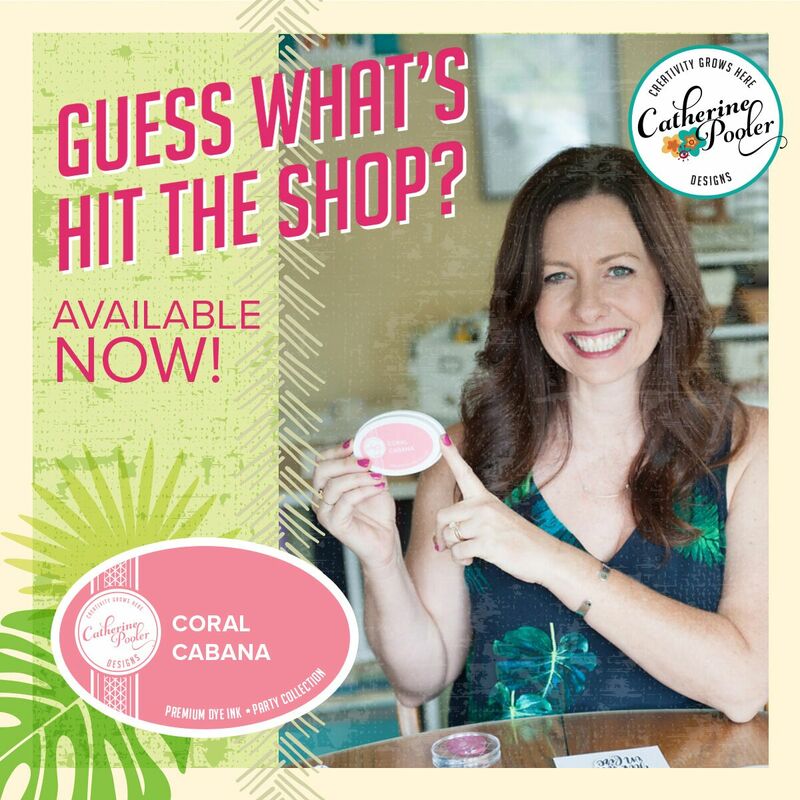 Check out Amy at Stamp-n-Paradise. We are very excited to welcome these artists to StampNation, welcome Allison & Amy! If you haven't joined StampNation yet, today is the day! 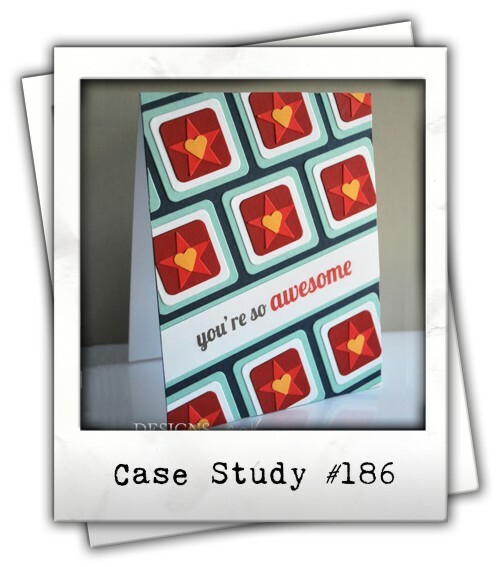 Card & Blog Hop Winner!!! I used the stamp set Wallflower from CAS-ual Fridays Stamps and the matching die for the flowers. I took a few liberties with the sketch but I was definitely inspired by it. 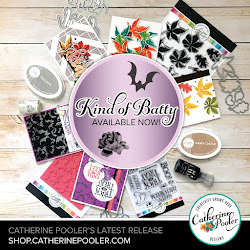 Our blog hop celebrating Kristy from Some Odd Girl and her Copic Marker Tutorials, ended yesterday. (You can still hop along, Start here.) Today we announce the winners! These two lucky ladies have won a FREE month's subscription to StampNation. 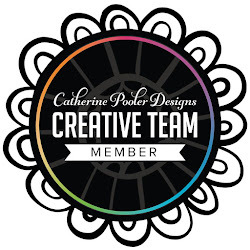 If this is you, please email Catherine and she will get you set up!